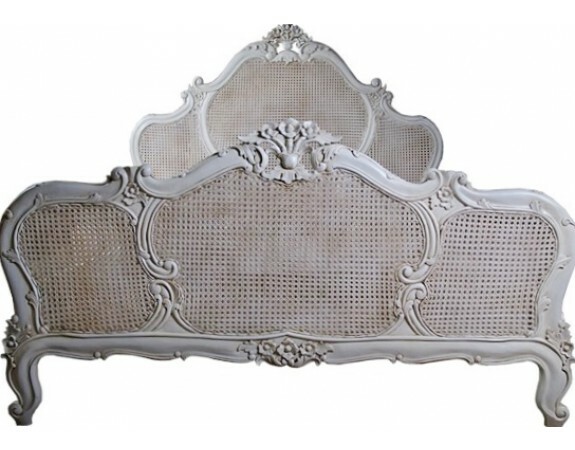 An inspiring piece of French furniture, finished in an antique white colour, the Louis XV bed is a glorious design. Floret carvings and the elegant shape of the bed, make it an outstanding addition to any bedroom. Classical rattan gives the bed design a regal appeal and makes the bed perfect for traditional bedroom or to contrast with a contemporary style. 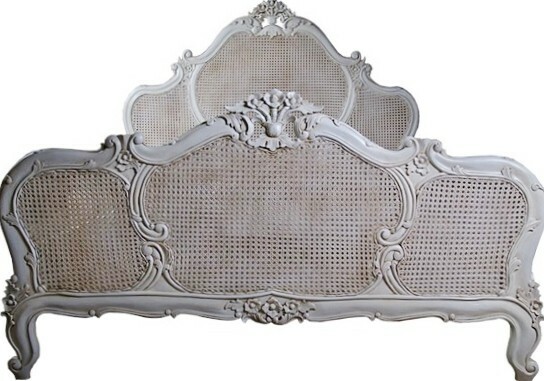 Headboard height 168cm, and footboard height 96 cm. Note: This item may require assembly upon delivery at an additional charge, please enquire with our sales team. 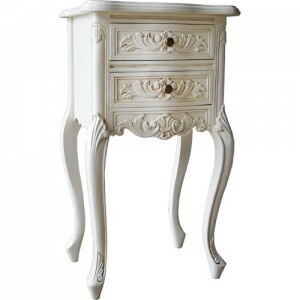 A sumptuous appeal in any bedroom, this piece is complete with lavish carved details. Gently aged, this bed adds depth and a stunning shabby chic ambience. Extravagantly carved headboard and footboard design. Inspired by stunning French rococo designs from the Louis XV and XVI reign, our reproduction bedroom furniture looks stunning in both period and contemporary settings.